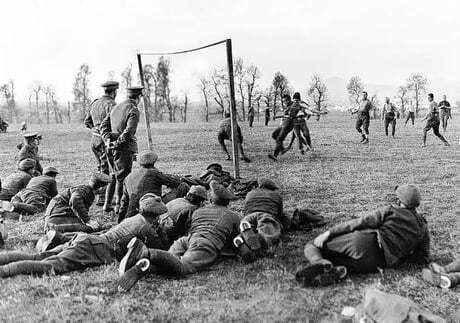 On Christmas 1914, 100,000 British and German soldiers crossed the trenches, forgot about the war and played a game of Football during the Christmas truce. A beautiful game. I have a question for God: WHY?! ?